This may have happened to them that one day they change the password for security, and when they try to enter, they find themselves typing the previous password again and again because they have definitely forgotten the new one! Well, fortunately, recovering the Mac password is not a difficult task. So, in this article, we will share a step by step procedure, so that you can do it quickly. Check if a question sign appears in the password field. If you see it, click on it to show you a password suggestion that can be used so you can remember it. Try signing in with the password of the Apple ID you use for iCloud. Apple recommends that if you just change your password, remember the new one and it does not work, try using the old password. If it works, the apple company ensures that you should be able to use the new password as of that moment. Now, if these steps did not work for you, you can reset it using the wizard to reset passwords. At this point it is vital that FileVault is activated, otherwise, it will not work. What you have to do is to wait a minute on the login screen, until you find a message that you can use the power button on your Mac to turn off the computer and restart it from the recovery section. If you waited a while and the message did not come out, then you do not have FileVault enabled and you will not be able to reset your password in this way. Follow the instructions: press the power button until the Mac shuts down. Then press the button again to turn it on. As soon as you see the ‘Reset password’ window, follow the steps to create a new password. If you have already been able to reset your password, you can log in to the new one. 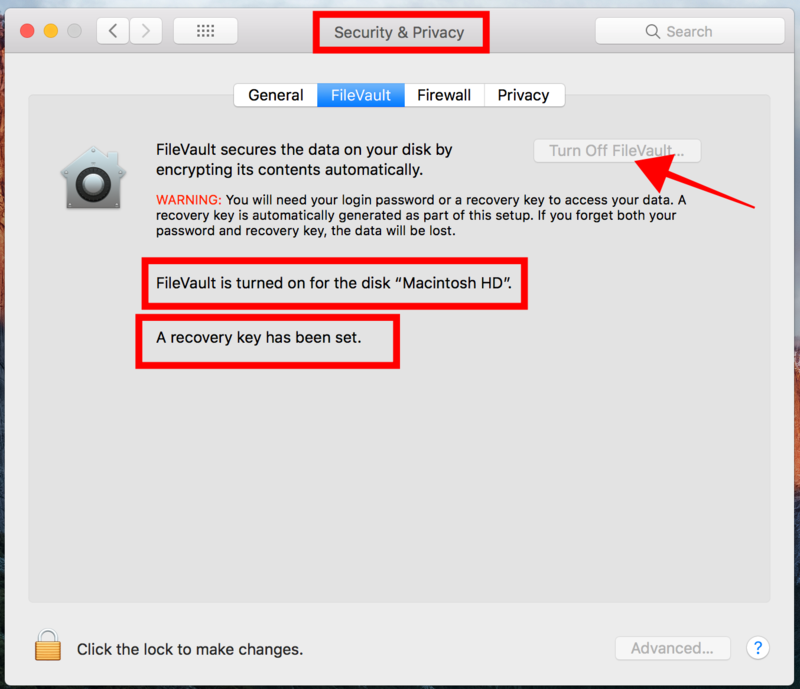 There is another way to recover your password, in which you must also have FileVault activated: using the recovery key. When you are on the login screen, if you enter the wrong password three times, a message will appear in which the computer will indicate that you can reset the password with your recovery key. At that time, you must click on the arrow next to the message, and in the password field enter the recovery key. There you must follow the instructions to create a new password and when you have finished, you have to click on Reset password. Restart the Mac and keep the shortcut Cmd + R key pressed to access the recovery partition. There, choose the Terminal in the Utilities menu and open it. At this point, you have to type reset the password. Next, a box will appear that will show a list of the boot hard disks connected to the Mac. It is important to choose the disk in which the account from which we need to change the password is hosted. Locate the user selection menu and choose the one you need. Add your new password. You have to verify it and add a useful indication so that you will not forget your Mac password again. Finally, click on save and you will have a new password. That is it! You are done with recovering your forgotten Mac password. 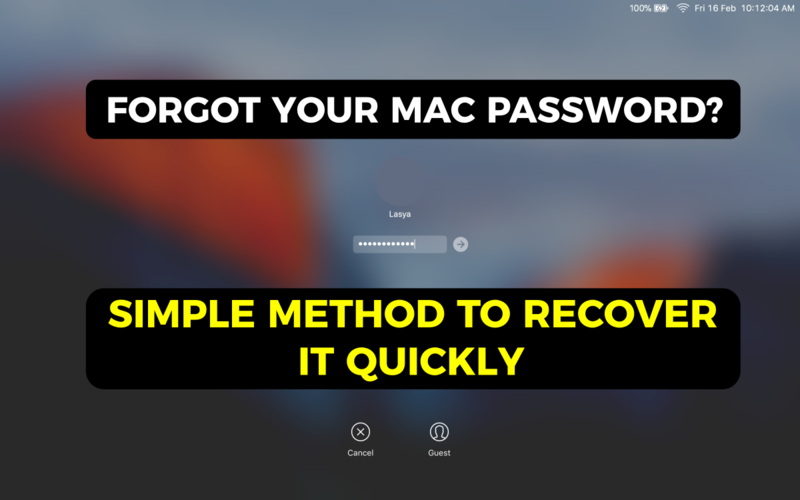 I hope this article will help you to recover your forgotten Mac password. If you have any queries regarding any of the above methods, let us know them in the below Comment section. We will get back to you as soon as possible to solve all your queries. Do you know any other methods to recover MacBook forgotten password? Then write them to us through our contact us page and we will update this article with the information you have provided with sources once verified. 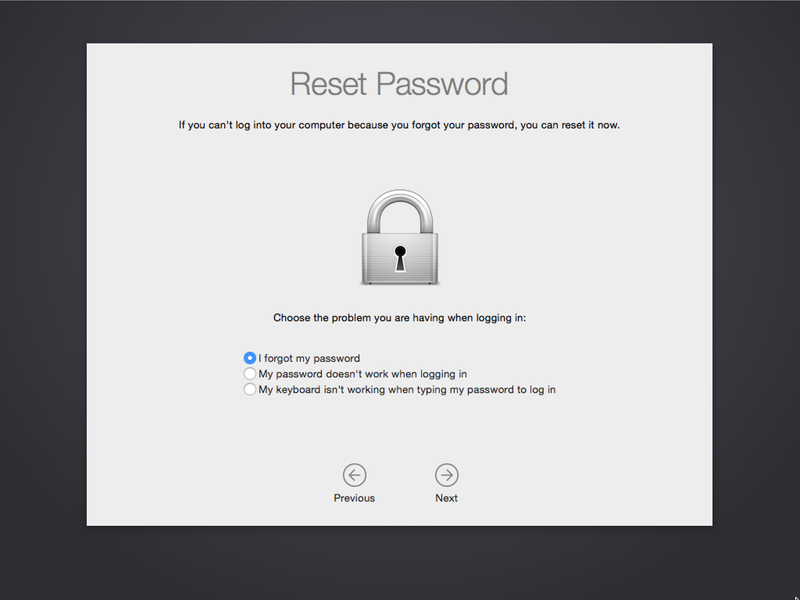 Which method worked for you to reset your Mac forgotten Password? Hay Lasya K, very useful tutorial now i can change my mac password.